On September 16–18 L.M. Dmitrieva, Head of the Department of Russian as a Foreign Language, A.I. Shmakov, Director of the South-Siberian Botanical Garden and R.V. 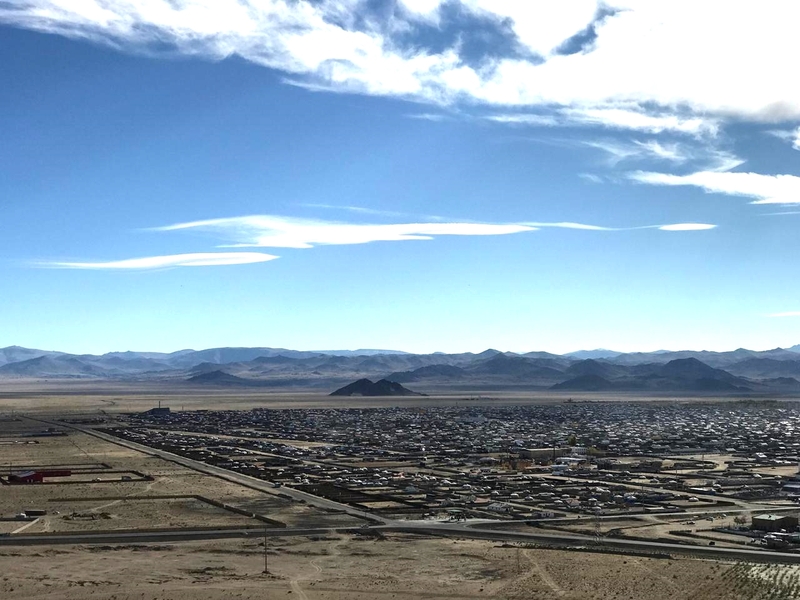 Yakovlev, Professor at the Department of Ecology, Biochemistry and Biotechnology, took part in the VI International Conference "Language, Culture and Intercultural Communication", which was held in Mongolia (Khovd). Lydia M. Dmitrieva delivered a plenary report “Linguocultural Model of the Transboundary Multicultural Space”, while biologists A.I. Shmakov and R.V. Yakovlev presented two reports – "Scientific and Educational Joint Russian-Mongolian Studies of the Flora and Fauna of Western Mongolia" and "Opportunities for International Communication in the Implementation of Projects on the Study of the Biological Diversity of Central Asia". The conference was attended by scientists from Mongolia, Russia, China, USA, Switzerland and France. In addition to participating in the conference, a number of business meetings were held with the leadership and staff of Khovd University. One of the landmark events of the visit was the establishment of the first botanical garden in Mongolia. Professors A.I. Shmakov and R.V. Yakovlev went to the prepared site, where they agreed on a plan of work on the organization of the botanical garden with the Mongolian colleagues. 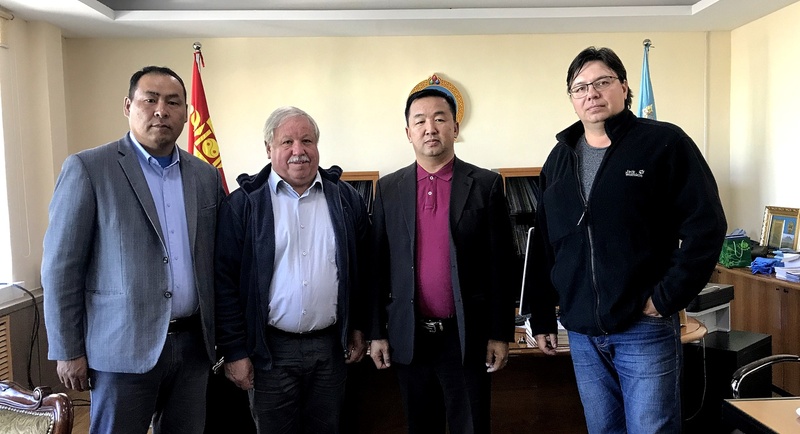 “The conference was well organized, we met with the colleagues from Khovd, got acquainted with the new rector of Khovd University, B. Nyamdorj. Informative meetings with lecturers and students of the Faculty of Biology were organized, where we planned the new ways for collaboration. 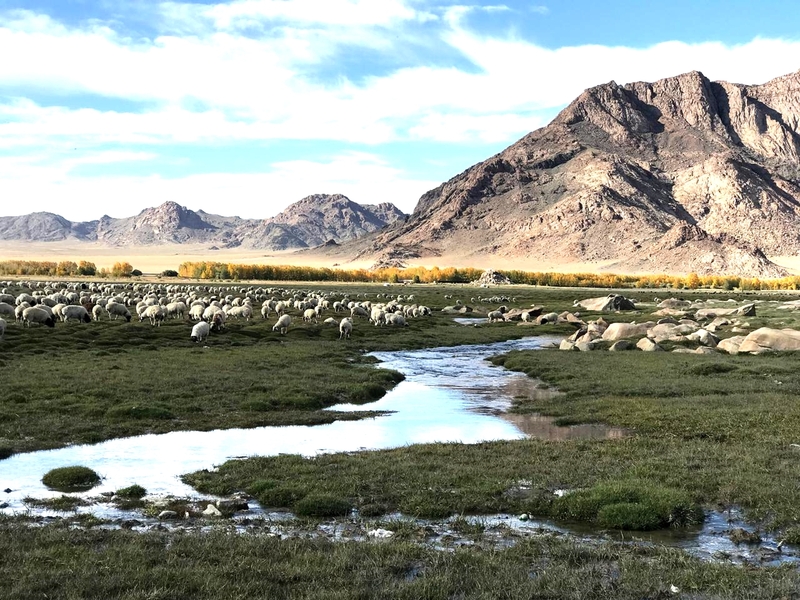 For us, biologists, Mongolia is a huge field for conducting research on biological diversity at the highest level, and new contacts with the colleagues are very important,” Roman Yakovlev commented on the results of the trip. The culminating moment of the trip was the presentation of the badge of honor of the Khovd Province to Professor Alexander I. Shmakov. The award, presented by the Rector of Khovd University B. Nyamdorj, was received by Alexander I. Shmakov for his great contribution to scientific cooperation and training of personnel in Western Mongolia.